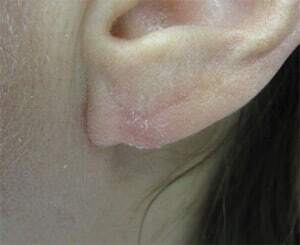 This is a common problem experienced by many women after years of wearing heavy earrings or having some sort of trauma to the ear related to them. What we do is simply repair the damage and the cosmetic results are very noticeable and impressive. 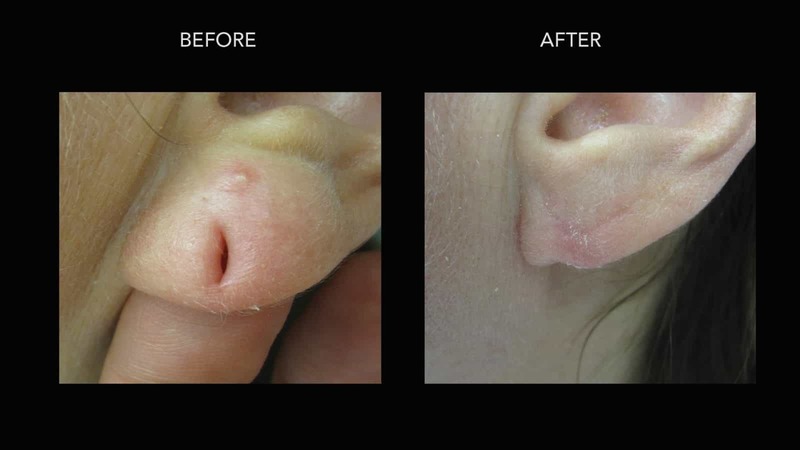 This is a patient just a few weeks after the procedure and it looks back to normal. She just has to wait a few months to get new piercings, but otherwise it looks and feels normal once again.